When you’ve been around the House block as much as Junior Sanchez has, you’ve probably witnessed everything from the baby steps of the scene to its years of prosper and world-changing effect on electronic music as a whole. 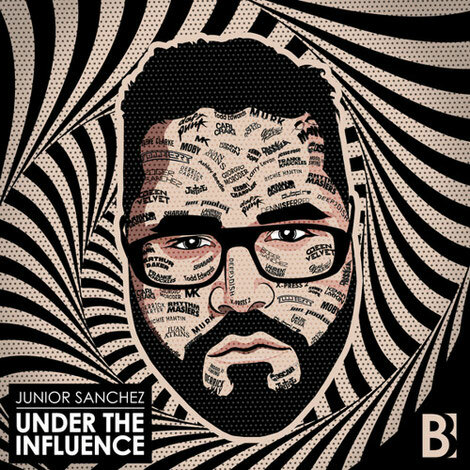 Combining all of that with the defining influence of the likes of Masters At Work, Mood 2 Swing, Armand van Helden, Todd Terry, Daft Punk, Kerri Chandler and MK, Junior Sanchez has come up with an 11-piece album that can only be regarded as a tribute: ‘Under The Influence’. With each track of the album, Junior shows how far-reaching the influence of the house pioneers has been. From ‘Back To House’ (feat. SoShy) as an interpretation of Daft Punk’s ‘Teachers’ and an extensive list of house icons in ‘You & I & The Music’ to the sound in ‘Think About It’ that makes one reminisce about “Little Louie” Vega’s Wednesday night sets at New York City’s The Sound Factory Bar, the album serves as a narrative of house music history and acknowledges the role of house’s finest in the evolution of dance music. Having arguably been one of the scene’s front-runners for more than 20 years, Junior has produced and remixed tracks for a smorgasbord of top-tier artists, ranging from Madonna to Daft Punk. He has performed all over the globe at clubs and festivals across the United States, Asia, Australia and Europe and is the head honcho of his Brobot Records imprint, operating under the wing of Amsterdam-based record label Armada Music.